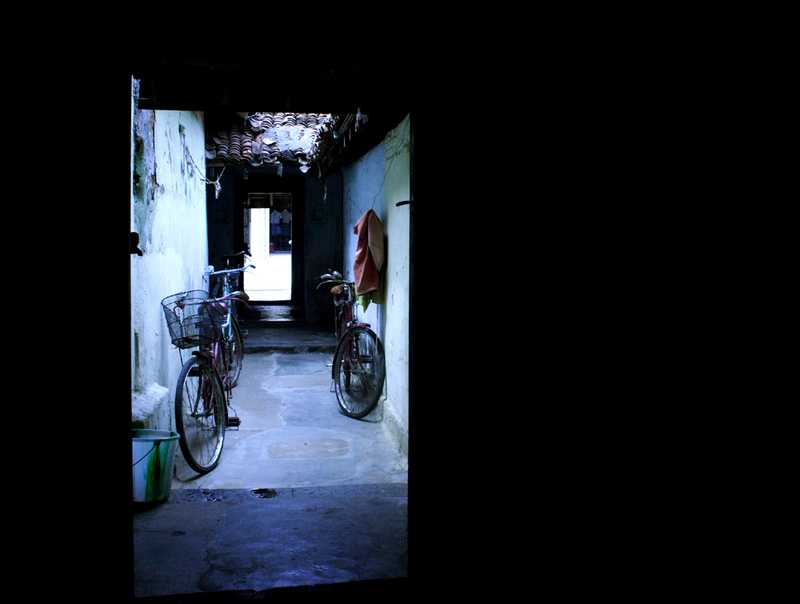 We take a walk down one of those streets in the town of Kanchipuram. 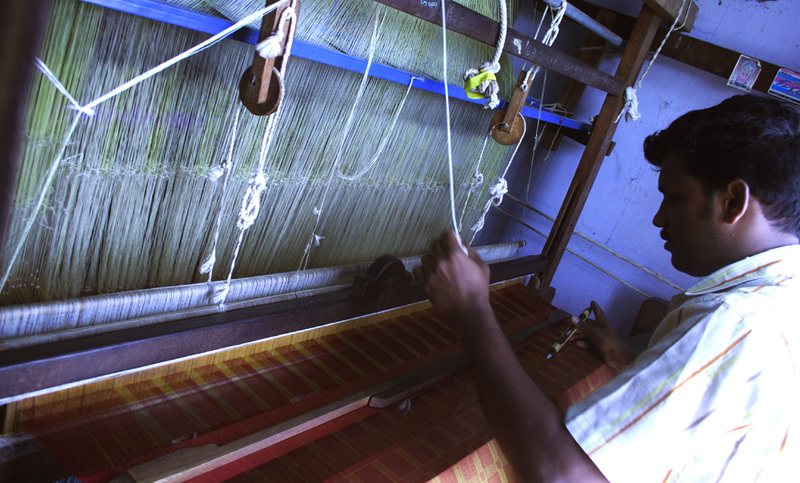 We’re told that the silk weaving magic happens in these houses. No mills, no factories. Only houses! We spot this house and enter to see what happens. The skilled artisan is at work. 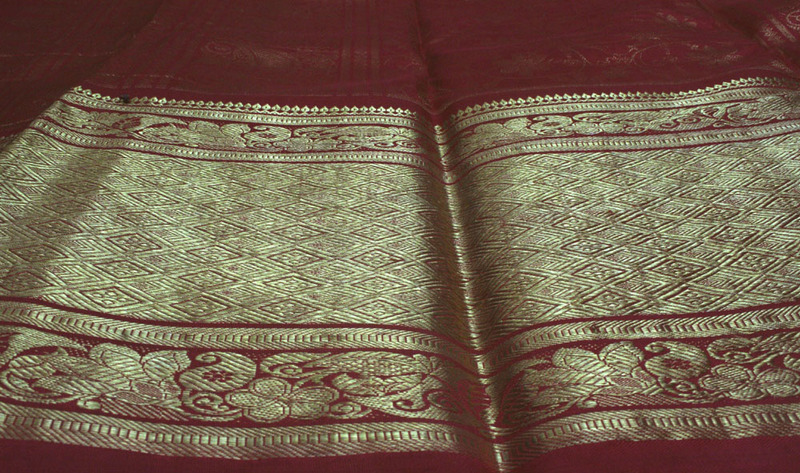 His deft hands move rhythmically to fuse the warp and the weft of the thread into a beautiful spread of a saree. These intricate designs surprise us by materializing from almost nowhere. 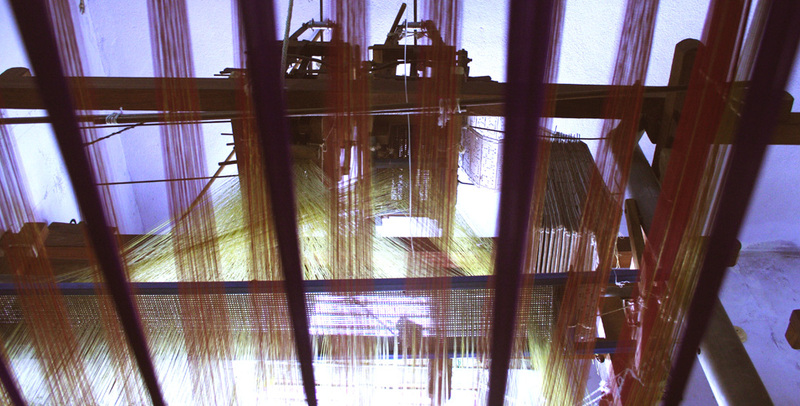 They look too complex to be weaved manually. Understanding our bewildered look, the artisan smiles at us and looks up. Following his glance, we see that its these cardboards that act as the die, directing the coloured threads in interesting permutations &amp; combinations, before they get translated into beautiful compositions of art on the saree. This manually crafted infrastructure is a humble miracle at work. It attaches a logical meaning to every little thing that contributes to the making of the grand spread of the kanjivaram. However sophisticated they may be, the ultra, top-of-the-line modern equipments would just not be able to replace these nimble fingers for the warmth they transmit into the fabric. 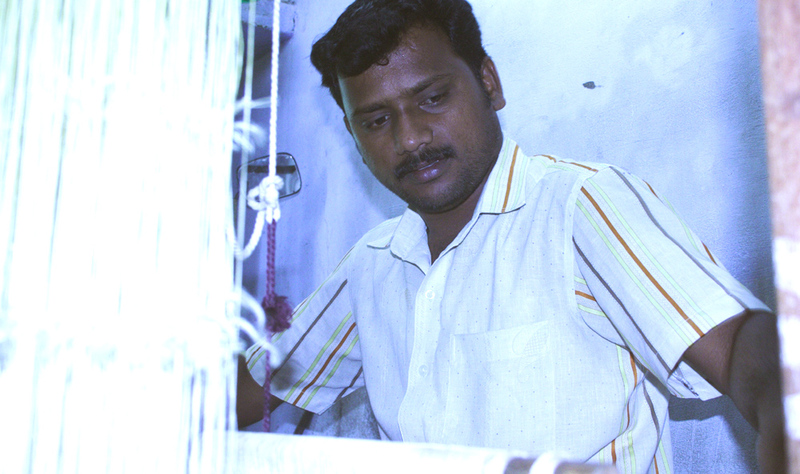 They caress the warps and the wefts to sense any possible breakage or damage. And, the tradition-old innate nature is quick to identify a snag the physical eye cannot see. 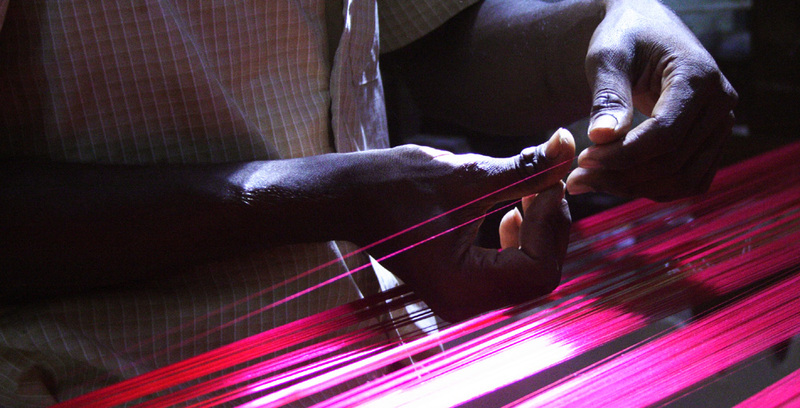 What transpires at the end is a true miracle springing out of a soulful combination of the hand-crafted looms and the warm human hearts. And, that brings us to the people.